As a growing number of states pursue competency-based pathways (CBP), the need to engage state, district, and community-level stakeholders is vital. As with any significant education reform, a shift to a competency-based approach will not succeed if there is not strong understanding and will at all levels. Recognizing this need, Achieve has developed a suite of resources to help states communicate the value and need for competency-based pathways. 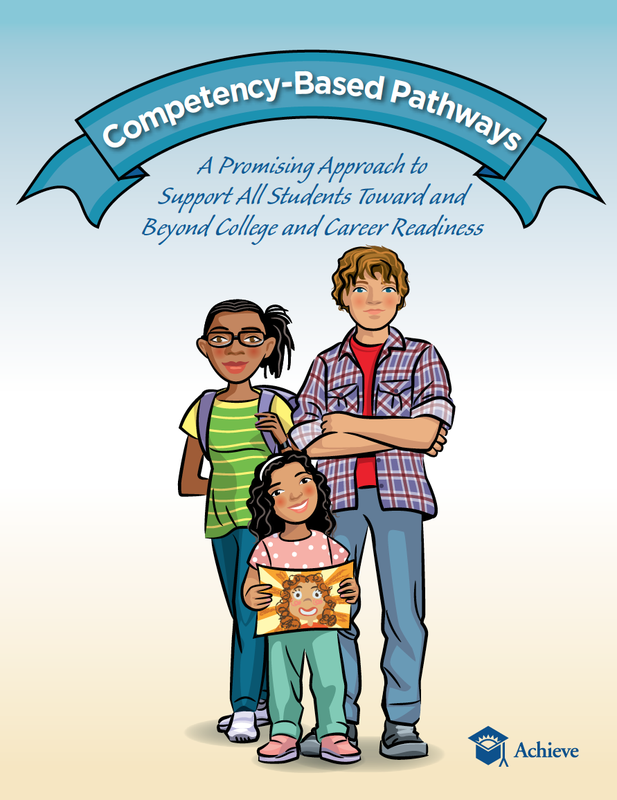 This “Competency-Based Pathways Communications Toolkit” was specifically designed for the needs of states, but can be adapted for use by districts, advocates and others involved in similar discussions. The tools include resources on how to message competency-based pathways, exemplars of powerful messages and stories, frequently asked questions, and detailed how-to-guides on getting the message right. Competency-Based Pathways Communications Planning: This document outlines a step-by-step approach for state-based teams to consider in developing tailored communications plans to build support for competency-based pathways. Frequently Asked Questions: This document answers the most frequently asked questions people have when learning about competency-based pathways. Communicating Success Stories: Stories about the success of competency-based pathways are a powerful messaging tool to have in your organization’s advocacy toolbox. This document outlines how to utilize storytelling as part of your overall communications plan to build support for competency-based pathways. Core Messages: This document provides a list of key definitions, key messages and talking points that can be adapted and used to describe competency-based pathways. Student Scenarios Infographic Brochure: This infographic brochure tells the story of three students whose academic progress has been shaped by the opportunities, flexibility and transparency of competency-based learning environments. Media Excerpts: This document offers example media excerpts from two states already implementing CBP. Stakeholder Engagement Worksheet: This document helps state stakeholders develop an action plan for engaging specific stakeholder groups, drawing attention to desired outcomes, current understanding, key messages, and timeline. State, District, and Partner Organization Communications Examples: This page offers several examples of websites designed to educate the public on competency-based pathways. It offers resources from national partner organizations, states, and districts.